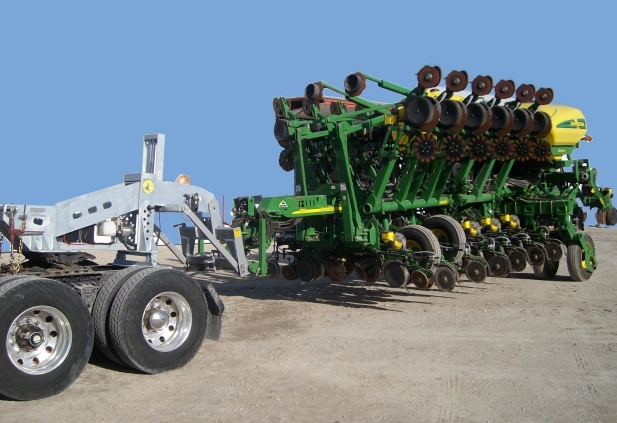 Essential for farm implement dealers who want an efficient professional solution for large implement transportation. Makes delivery of the largest implements a breeze! Utilize any standard fifth wheel tractor. Installs in minutes and can be removed just as quickly if the tractor is needed for another job. 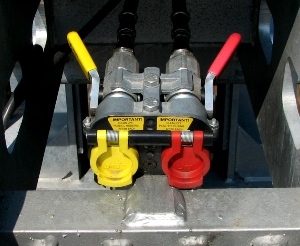 Pioneer Fittings mounted to the rear of the unit provide hydraulic power to operate implements before being connected. 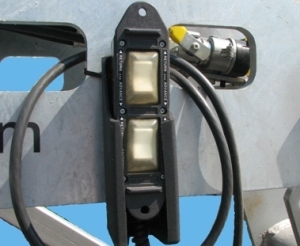 The custom 4-way remote pendant controls the hitch or implement independently with the touch of a button. 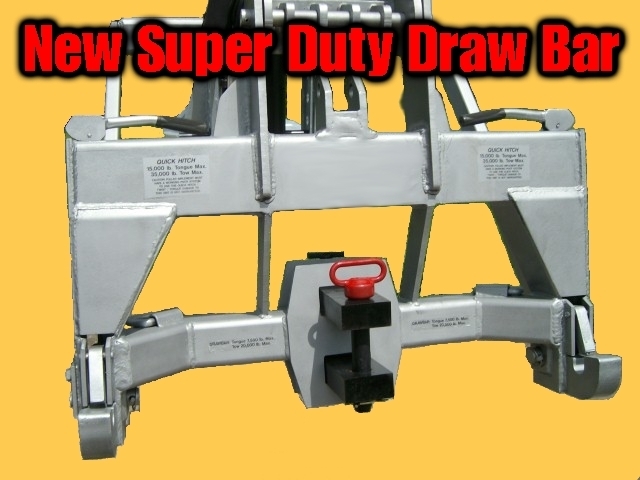 The NEW Super-Duty Draw Bar brings your Quick Hitch draw bar to full 35,000lb towing capacity. Features dual 2"X4" Removable tangs and 1.5" hitch pin. The set back configuration accommodates Kinze 2 point hitches with protruding noses and any future similiar designs from other manufacturers.